Metropolitan Opera Star, Patrice Munsel, the youngest Coloratura Soprano to ever grace the stage of the Met, died at her New York Adirondack lake front home on August 4, 2016 surrounded by her children and grandchildren. 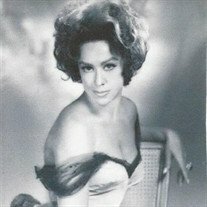 At 17 years old, Pat, as she was affectionately known, walked unassumingly onto the stage of the "Metropolitan Auditions of the Air", the "American Idol" of its day. In low heeled shoes, white socks, and with school books tucked under her arm, she went into the electrifying pyrotechnics of the "Mad Scene" from Lucia di Lammermoor. She was signed to a Met contract at once, and thus also became the youngest singer ever to debut at the Metropolitan Opera. Her debut on December 4, 1943 as Philline in "Mignon" received and ovation which lasted a full 6 minutes. This beginning sparked a phenomenal career spanning 65 years. Perhaps best known for the saucy role of Adele in Die Fledermaus, (she stopped the show twice with ovations), Munsel performed at the Met 225 times. She became internationally renowned for a spectrum of major dramatic roles; La Boheme, La Traviata, Romeo and Juliet, Lakme, Tales of Hoffman, Rigoletto, Cosi Fan Tutte, La Perichole, to mention a few of the 25 parts in her repertoire. One of the most valuable stars of the operatic world, and of the Metropolitan Opera in particular, Munsel's success spilled over into several other arenas as well. Patrice's calling cards were her beauty ("The Opera Star that you could listen to with your eyes open"), stunning voice, sensuality, dazzling personality, wit and charisma. She is deemed by many of the music world the most effervescent singer to ever sing, dance, romp, and kick across a stage. Patrice was regularly on the "Best Dressed" lists. Ending her career as an opera singer in the late 1950's, Munsel transitioned easily to musical comedies, operettas and television. She opened the State Theater at Linclon Center in The Merry Widow, wowed audiences across the world in musicals such as Kiss Me Kate, Mame, A Little Night Music, The King and I, and The Sound of Music, in which she starred with her four children, Heidi, Rhett, Scott and Nicloe. Throughout the'50's and '60's Patrice ranked among a small elite of forerunning foundational TV performers and creators. With her handsome husband, Robert C. Schuler, as Executive Producer, they conceived and developed " The Patrice Muncel Show" which aired on ABC from 1957-1958, an innovative show regularly featuring Tony Bennett. She appeared on such seminal shows of the time as The Tonight Show with Johnny Carson, Dean Martin, Red Skelton. Jerry Lewis, Mike Douglass, Merv Griffin, Perry Como, What's My Line, The Voice of Firestone, I've Got a Secret, Steve Allen and Jimmy Durante. Muncel made multiple appearances on other shows such as Wild Wild West, where she guest starred as an opera singer held in captive in a gilded cage, and she played Nellie Melba in the United Artists film "Melba". Remarkably, she began her musical journey as a child studying whistling in her home town, Spokane, Washington, performed whistling concerts, and had an original goal of "whistling for Disney". Her name spelled box office in 7 different fields-opera, television, concerts, legitimate theater, movies, recordings and Las Vegas. She was married for 55 years to Producer, Advertising and PR Executive Robert C. Schuler, who died on Christmas day 2007. He chronicled their vivid & global life together in the book, "The Diva and I: My life with Metropolitan Opera Star Patrice Munsel". Extraordinarily, in the midst of an astounding career, she gave birth to four creative children in six years. In private life she was flamboyant as noted by numerous magazines and press throughout decades of coverage. Adventurous in every aspect, she was daring, fearless, funny, extremely loving and affectionate. Munsel snorkeled, snow skied, water skied, kayaked, fished, mountain climbed, ice skated, and was an accomplished poetess and painter-all with her usual zest. She adored all animals domestic and exotic. In her own words, she "Loved life on a staggering scale". Patrice and her husband Robert avidly traveled with their children throughout the world. She is survived by Heidi Schuler Bright, Scott and Nicole Schuler (Her son Rhett predeceased her in 2005), her grandsons Stefan and Aleksander Kocev, and her great granddaughters, Mila and Nika Kocev. "Our mother instilled in all of us a passion for life and taught us that there were no boundaries. Her incredibly creative nature was generously conveyed to us. She taught us to love and live large. Recently asked in an interview to describe herself in one word, Munsel said simply, "Fabulous!"